Toning is an essential, yet often overlooked, portion of skin health regimens. Traditionally applied after cleansing, Dermalogica Toners can also be used to refresh and hydrate as needed throughout the day. 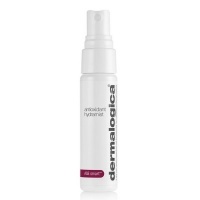 An ultra-light facial spritz that can help refresh and hydrate the skin while smoothing the surface. Helps condition skin to prepare for proper moisture absorption.